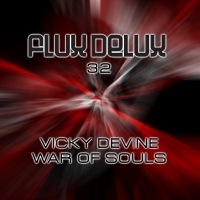 In typically 'Devine' style, Vicky unleashes another big-room anthem, packed full of melody, bass and full-on percussive drive. Thoroughly road tested throughout the summer in Ibiza at Vicky's "Judgement Sunday" residency together with featured radio plays including Judge Jule's Radio! show, the feedback so far has been immense. Now on full promo, the release also features young Polish star Dereck Recay, who delivers an equally impressive interpretation to finish the release in suitably splendid fashion! 'War Of Souls' is available now from Beatport and iTunes.